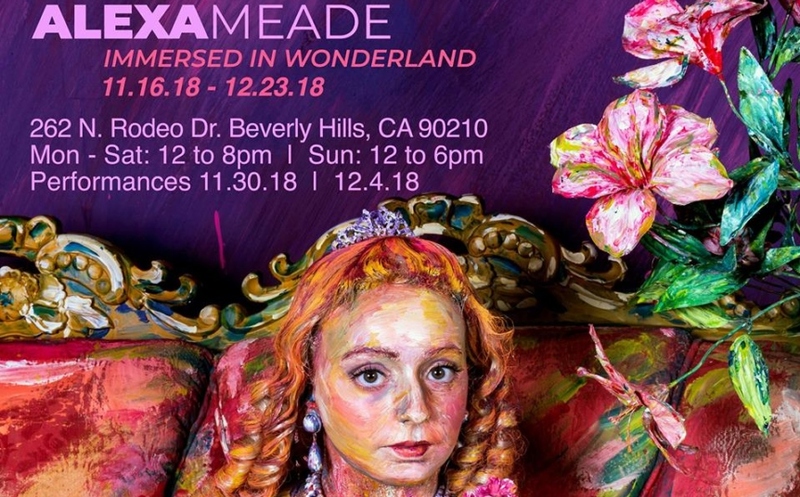 For the Solo Exhibition IMMERSED IN WONDERLAND, Alexa Meade will transform the space on Rodeo Drive into a three-dimensional art installation that will appear to be two-dimensional when photographed. Visitors stepping into an immersive art exhibition will become part of the artwork as they don hand painted clothing and accessories. 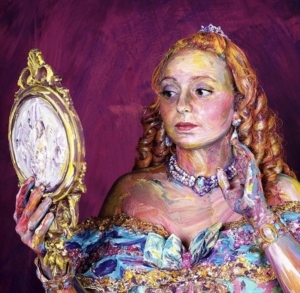 In the solo exhibition, Immersed In Wonderland, Alexa has transformed a property on iconic Rodeo Drive in Beverly Hills into a painted wonderland. Unlike a traditional gallery space, Meade’s dizzying carousel of color and light starts at the door and visitors are encouraged to become part of the artwork as they interact with hand-painted clothing and accessories inside the exhibition. Acrylic paint covers the space, producing a two-dimensional illusion from solid matter — people, pianos, rocking horses — all visually flattened into the space. It’s alive, figuratively and literally, with color, vibrancy, and detail.